The native people of Prince William Sound tell how Rufous Hummingbirds migrate to and from Alaska on the backs of geese. 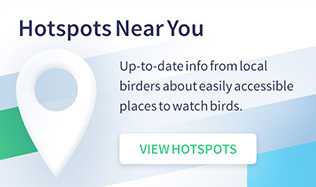 It’s hard for them to imagine a three-inch-long bird that weighs no more than a few paperclips flying 2,000 miles or more across mountains and urban landscapes and along broad waterways all the way to Alaska. How else could it accomplish such a feat if not on the back of a goose? Rufous Hummingbird doesn’t rely on geese; we know that. But the question is still a good one. In June 2010 in Chenega Bay, Alaska, the small community in western Prince William Sound where I live year-round, I captured a Rufous Hummingbird that had been banded five months earlier in Tallahassee, Florida. (See the sidebar below.) The recapture marked the longest recorded migration of a hummingbird — over 3,500 miles. Just how did the bird manage to travel so far? What route did it follow? And how many other hummingbirds make the same flight each year? These questions fascinate me, and I’m not alone. The female Rufous Hummingbird above is a record breaker. She was photographed in the hand of Fred Dietrich of the Hummer/Bird Study Group. He banded the second-year bird in a backyard in Tallahassee, Florida, on January 13, 2010. The bird visited the yard for only a few weeks and then disappeared. When it was seen again, on June 28, it surprised everyone. As we reported in our October 2010 issue, it turned up in author Kate McLaughlin’s trap in Chenega Bay, Alaska — more than 3,500 miles from Tallahassee. As far as we know, no hummingbird has ever migrated farther. McLaughlin says she examined the band repeatedly to make sure she had recorded the number sequence correctly. She weighed the hummingbird, placed a dot of white, nontoxic, water-soluble paint on its head (marking the bird so she wouldn’t accidently catch it again), and released it. Then, in an email sent to the email-distribution list that she describes in the accompanying article, she announced that she had captured it. Dietrich replied right away, passing along details of the bird’s banding on the other side of the continent. Approximately 335 species of hummingbird can be found in the New World. 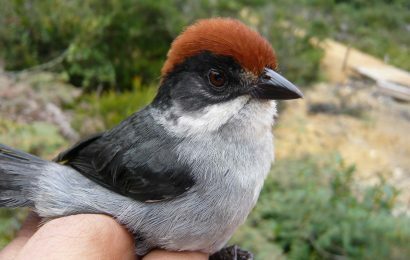 Of those, 17 breed in the United States, and three — Rufous, Costa’s, and Anna’s — migrate to Alaska. Costa’s and Anna’s are considered casual migrants to southeastern and south-central Alaska; only Rufous, the most widespread hummingbird in the United States, is common. The northern Gulf of Alaska and Prince William Sound lie at the extreme northern edge of its breeding range. Males arrive in southeastern Alaska in March and then spread north along the coast through the Gulf of Alaska area, reaching Chenega Bay by the last week of April. Just about every house in our village will have at least one feeder up in anticipation of the birds’ arrival. Females appear a week or two after the males. The birds keep busy feeding and fighting for territories until June. Then, at the peak of the blueberry and salmonberry bloom, they begin incubating eggs, and my husband Andy and I may not see a bird, other than a quick buzzing fly-by, until the first days of July. That’s when the fledglings appear on our feeders and the adult males start their southward migration, leaving the feeding stations to the adult females and immature birds until the first week of August, when they too leave the northern Gulf coast. In the months after their departure — and especially in the short, cold days after the New Year, when water drips off long icicles hanging from the eaves and snow piles up in the yard and garden — I use my laptop computer to check on the latest hummingbird-migration news from the lower 48 states. We are members of a continent-wide network of professional and citizen-scientists who expend a great deal of effort chasing after and carefully catching hummingbirds, for scientific purposes. Federally licensed and trained to perform mark-and-recapture studies, we place a tiny aluminum U.S. Fish and Wildlife Service leg band on each bird we capture, or if it already carries one, we document the unique series of letters and numbers on the band. Then, after taking a few measurements, we set the bird free to continue its amazing transcontinental journey. Every individual released wearing a band is a miniature traveling research project, with the potential to increase our understanding of hummingbird behavior, natural history, and population dynamics. 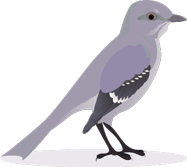 We banders use a private email-distribution list to share information and discuss issues relating to our hummingbird projects. 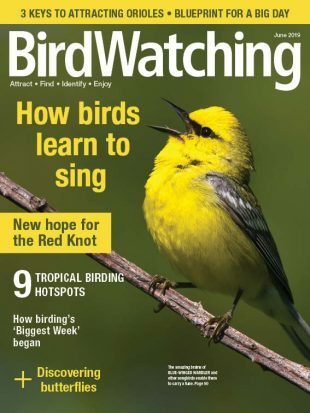 From it, I know that fellow hummingbird bander Nancy Newfield, author of several books about hummingbirds and co-author of the 1996 book Hummingbird Gardens, will start seeing male Rufous in Louisiana, where she lives, as early as July and August. It was originally thought that all Rufous Hummingbirds wintered primarily in northern Mexico and Central America, but since the late 1970s, an increasing number of birds have been documented in winter in the southeastern United States. In the past, the migrants were often incorrectly diagnosed as lost or ill, but researchers now agree that a winter population has been established. Why and when this happened is still under debate. Perhaps the sprouting of suburban gardens in the southeast created a new niche, one that offers plenty of food and shelter to hummingbirds traveling along the eastern seaboard. 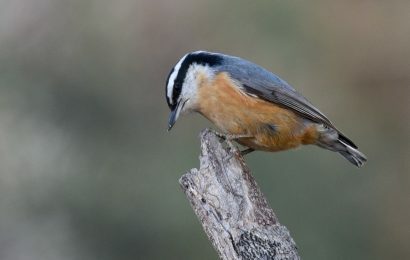 Climate change may also be a factor, since unpredictable weather patterns and warmer winters allow birds to linger longer than previously recorded. Rufous Hummingbirds in particular tolerate cold very well. They can handle overnight temperatures that dip below freezing by entering a short period of hibernation known as torpor. 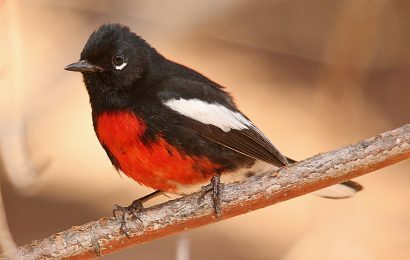 They also have a well-deserved reputation as wanderers and therefore are thought to be able to take advantage of new ecological opportunities when they arise. Perhaps this is why Rufous Hummingbird and other members of the genus Selasphorus are being sighted in winter in such eastern places as Washington, D.C., Pennsylvania, and Massachusetts. In the 1970s, Newfield noticed Rufous and Black-chinned Hummingbirds in her Louisiana backyard in winter. Her curiosity piqued, she became a federally licensed bander and soon documented a variety of western species far from their known winter ranges. 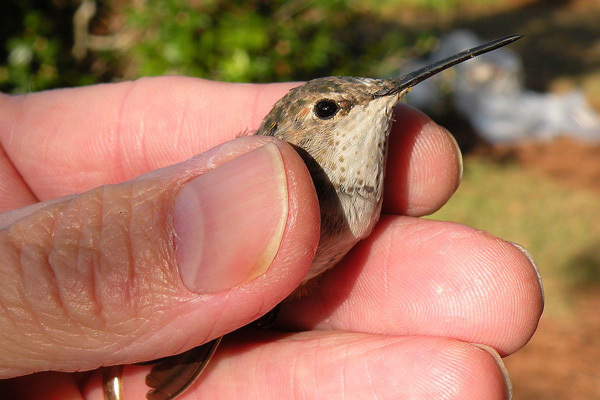 She trained other hummingbird banders, and together they gathered data in Texas, Alabama, and Mississippi. More than 30 years later, she and her expanding cadre of banders have documented thousands of wintering hummingbirds in the southeastern United States. Sargent credits two groups — members of the general public who leave feeders up in winter, and dozens of new banders scattered about the eastern United States — as the main reasons more wintering hummingbirds are being documented. “Nancy Newfield’s work in Louisiana has been a model for all of us as we continue to locate and document these ‘rare’ hummingbird species,” he says. Currently, 117 master hummingbird banders are at work in the United States; 149 sub-permittee banders work under them. Most are located in the southwestern and eastern United States. Wildlife biologist Bruce Peterjohn, chief of the Bird Banding Laboratory (BBL) at the USGS Patuxent Wildlife Research Center in Laurel, Maryland, says that hummingbird-conservation efforts have resulted in a small but growing number of banders in most of the western states as well. My wildlife-biologist husband Andy and I are two of the recent additions, having gained sub-permitee status under master bander Stacy Jon Peterson of Wasilla, Alaska, in 2007. We operate the northernmost hummingbird-banding station in North America and the only season-long banding station in Alaska. Our project’s goal is to gather baseline population and migration data. We’ve banded 1,423 Rufous Hummingbirds since we started, and we’ve captured only one hummingbird that had been banded by someone other than us: the adult female that had been banded in Tallahassee. It made hummingbird-banding history. (See sidebar.) 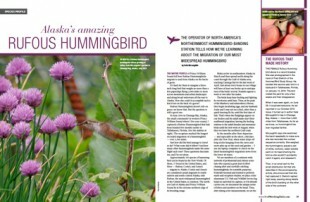 Members of the hummingbird-banding community had speculated that birds wintering in the southeastern United States could be coming from Alaska, but this was the first time it had been documented as fact. The previous long-distance record for a Rufous Hummingbird was a bird that had been banded in Louisiana and was later found dead on Vancouver Island, British Columbia, a distance of approximately 2,200 miles if you lay a ruler down on a map and draw a straight line. Another long-distance Rufous had been banded in British Columbia and was recaptured in January 2012 in Alabama by Fred Bassett, founder of the nonprofit organization Hummingbird Research Inc. (We wrote about Bassett in our December 2010 issue; see “Winter Hummingbirds in the Gulf.”) The three recoveries suggest a travel trajectory that points to birds coming out of Alaska. A nonprofit dedicated to the study and preservation of hummingbirds and other neotropical migrants. Committed to the conservation of hummingbird diversity and abundance throughout the Americas. A sister organization of the Hummer/Bird Study Group, promoting the conservation of hummingbirds through research and education. Information about hummingbirds and the protection of endangered species. The society’s hosts the Sedona Hummingbird Festival in Arizona each August. A resource for attracting, feeding, and studying hummingbirds in North America. How to report a banded bird. The key to understanding these questions is the continuation of banding efforts across North America. Birds need to be re-caught not only on each end of their journey but also at many points in between. We dedicated and slightly obsessed members of the hummband community are working hard to accomplish these goals. My husband and I are already preparing for the coming spring season — preparing banding equipment, deciding whether to add a feeder or modify the feeder setup. And perhaps, while waiting for spring, we will be able to call out “Bingo!” when a familiar band number pops up on our computer. Kate McLaughlin is an independent environmental consultant providing technical assistance, biological research, and environmental education. She, her husband Andy, and their eight-year-old son live year-round in Chenega Bay, in Prince William Sound, Alaska.